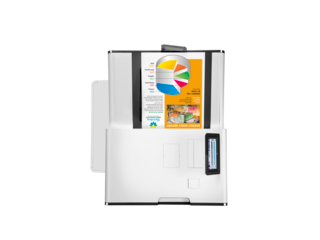 Professional-quality color documents, comprehensive security. 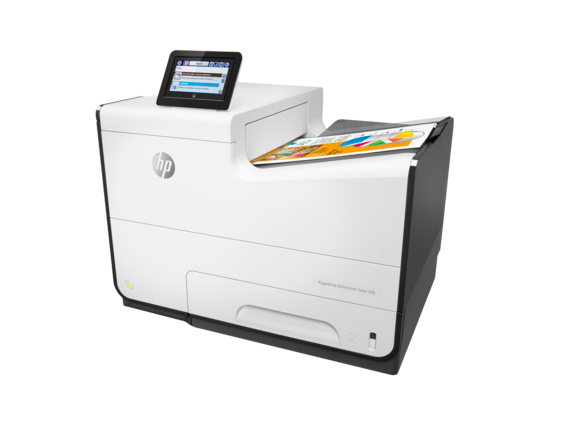 Count on strong protection for devices, data, and documents with the deepest embedded printer security from HP,2 and centrally manage your entire fleet with ease. With features like best-in-class print and first page out speeds, fast one-pass two-sided scanning, and intuitive 8-inch color touchscreen with gesturing, the HP PageWide Enterprise series comes equipped with all the tools your team needs while delivering professional document quality. 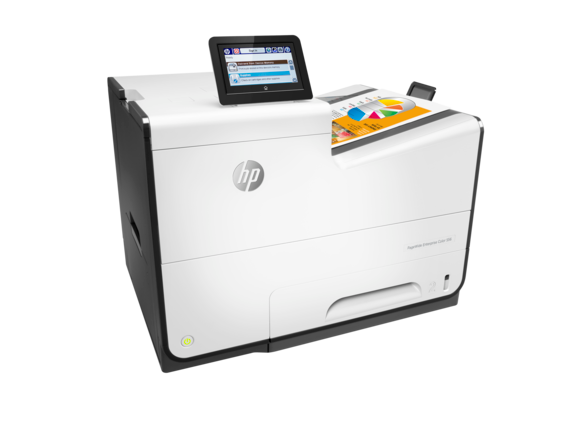 HP PageWide Technology delivers the fastest speeds and deepest security for up to 40% lower color cost per page than color lasers. 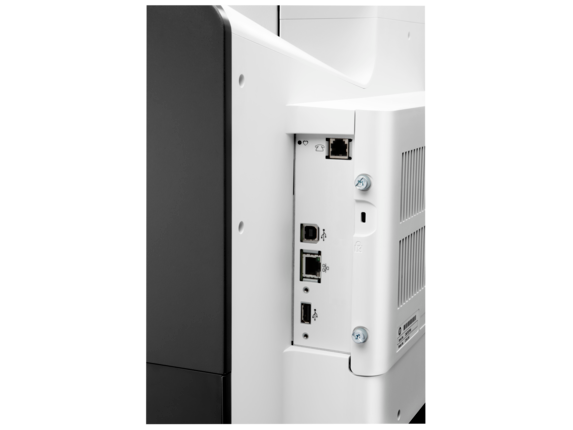 Power productivity and count on unparalleled multi-level security. Ideal for enterprises that need high-volume, professional-quality color printing at fast speeds and strong security features for an exceptional value. 1 Comparison of HP PageWide Pro and Enterprise class devices with the majority of in-class color laser MFPs < $3,000 USD, and color laser printers < $1,249 USD as of November 2016; market share as reported by IDC as of Q2 2016. 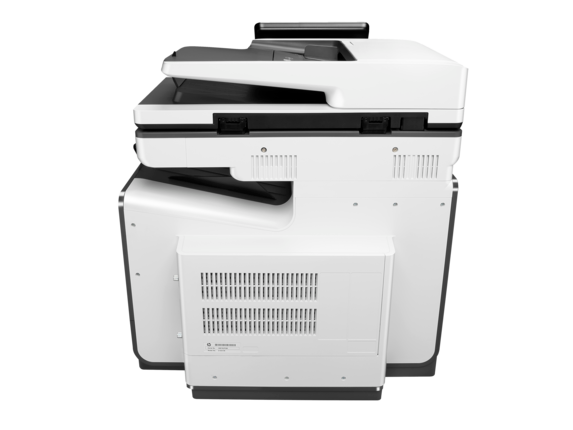 Cost per page (CPP) reported by Gap Intelligence Pricing & Promotions report October 2016, comparisons for all supplies are based on published specifications of the manufacturers’ highest-capacity cartridges and page yield. 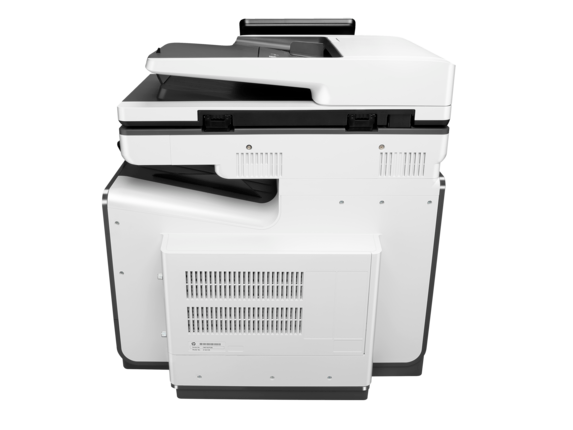 Average yield based on ISO/IEC 24711 and continuous printing. Actual yield varies based on content of printed pages and other factors. 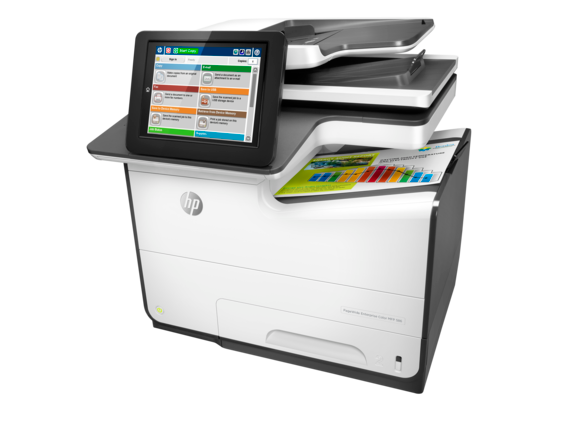 For details see hp.com/go/learnaboutsupplies 2 3 Total cost of ownership Enterprise comparison based on 150,000 pages, manufacturers’ published specifications for page yields and energy use, manufacturers’ suggested retail price for HP hardware and supplies, average street prices for competitive devices, cost per page based on ISO yield with continuous printing in default mode with highest-available-capacity cartridges, and long-life consumables of all color business A4 printers $500–$1249 USD as of November 2015, excluding products with 1% or lower market share using market share as reported by IDC as of Q3 2015. 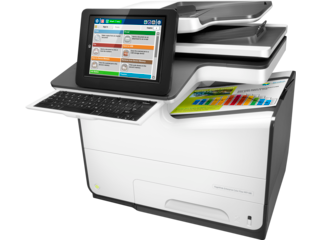 Learn more at http://www.hp.com/go/pagewideclaims and http://www.hp.com/go/learnaboutsupplies 4 Measured using ISO/IEC 17629. Exact speed varies depending on the system configuration, software application, driver, and document complexity. 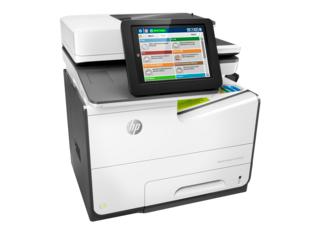 Learn more at http://www.hp.com/go/printerclaims 5 Energy claim for Enterprise devices based on TEC data, reported on energystar.gov, that is normalized for majority of in-class color laser MFPs $1000–$3000 USD and color laser printers $500–$1249 USD as of November 2015; market share as reported by IDC as of Q3 2015. Actual results may vary. Learn more at http://www.hp.com/go/pagewideclaims 6 Requires purchase of optional HP Jetdirect 3000w NFC/Wireless Direct Accessory. 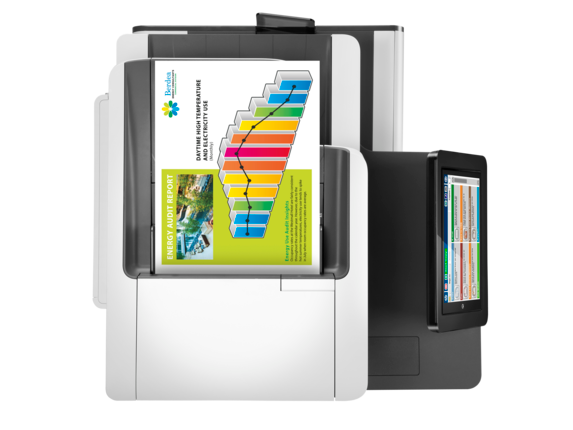 Mobile device must support Near Field Communication (NFC)-enabled printing. For more information, see http://www.hp.com/go/businessmobileprinting 7 Requires purchase of optional HP Jetdirect 3000w NFC/Wireless Direct Accessory. 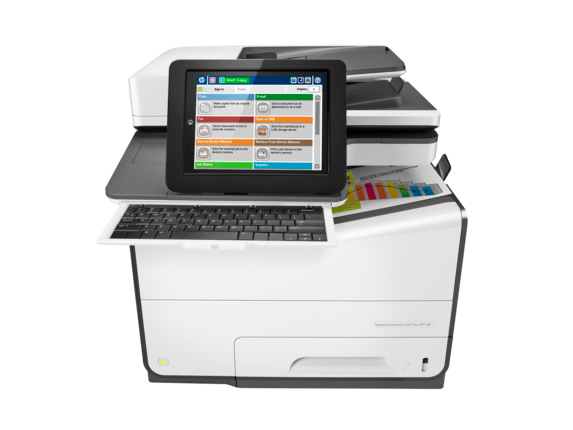 Mobile device needs to be connected directly to the Wi-Fi® network of a wireless direct-capable MFP or printer prior to printing. Depending on mobile device, an app or driver may also be required. Wireless performance is dependent on physical environment and distance from the access point in the MFP or printer. 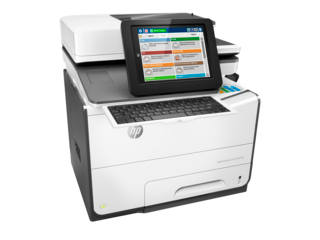 For details, see http://www.hp.com/go/businessmobileprinting 8 Some features require additional purchase. A FutureSmart service pack update may be required to activate security features. Learn more at http://www.hp.com/go/printsecurity 9 Yield based on ISO 24711 cartridge yields for HP 981Y Extra High Yield Original PageWide Cartridges, which are not included in printer purchase; purchase separately. Comparison based on ISO 24711 cartridge yields for HP 981Y Extra High Yield Original PageWide Cartridges compared with HP 981 series Original PageWide Cartridges. Learn more at http://www.hp.com/go/learnaboutsupplies 10 Based on ISO 24711 cartridge yields for HP 981 series High Yield Original PageWide Cartridges compared with HP 981 series Original PageWide Cartridges. 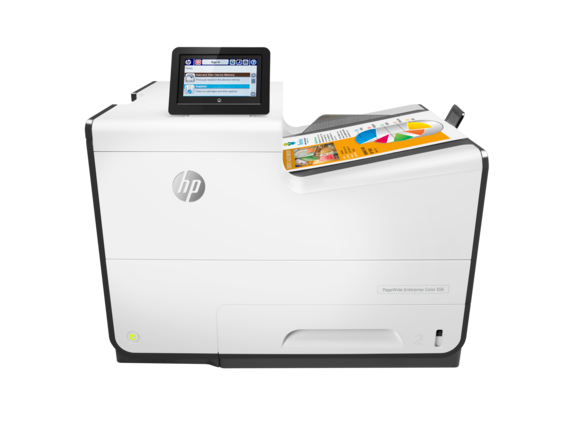 Learn more at http://www.hp.com/go/learnaboutsupplies 11 Less scheduled maintenance based on 150,000 pages printed, and published comparisons of majority of in-class color laser printers and A4 MFPs $1000–$3000 USD as of November 2015; market share as reported by IDC as of Q3 2015. Learn more at http://www.hp.com/go/pagewideclaims 12 Wireless networking requires purchase of the HP Jetdirect 2900nw Print Server. Wireless performance is dependent on physical environment and distance from access point, and it may be limited during active VPN connections. 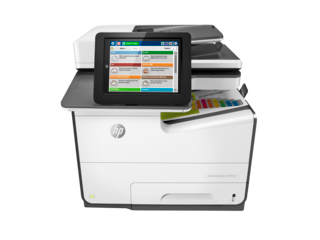 13 HP Web Jetadmin is available for download at no additional charge at http://www.hp.com/go/webjetadmin 14 Based on HP internal research on competitor offerings (Device Security Comparison January 2015), and Solutions Report on HP JetAdvantage Security Manager 2.1 from Buyers Laboratory LLC, February 2015. Requires separate purchase. 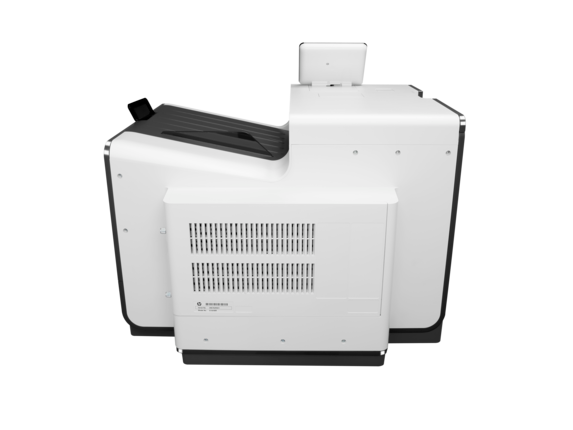 For details, see http://www.hp.com/go/securitymanager 15 An FCC Class A emissions compliant device meets the less stringent (higher) levels of emissions allowed by the FCC for a product operation in a commercial environment. An FCC class A device cannot be marketed for use in a residential environment and an FCC class A device should not be purchased for use in a residential environment due to the increased risk of interference to radio communications. HP PageWide Technology delivers the fastest speeds and deepest security for up to 40% lower color cost per page than color lasers. 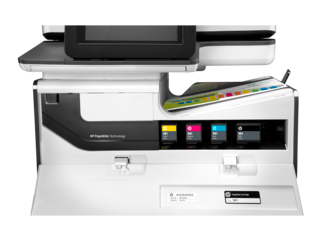 Power productivity with seamless workflow features, and count on unparalleled multi-level security. Ideal for enterprises that need a high-volume, professional-quality color MFP with fast speeds and strong security features for an exceptional value. 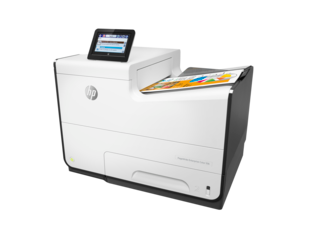 Standard, embedded HP High-Performance Secure Hard Disk, minimum 320 GB; AES 256 hardware encryption or greater; Secure erase capabilities (Secure File Erase-Temporary Job Files, Secure Erase-Job Data, Secure ATA Erase-Disk).